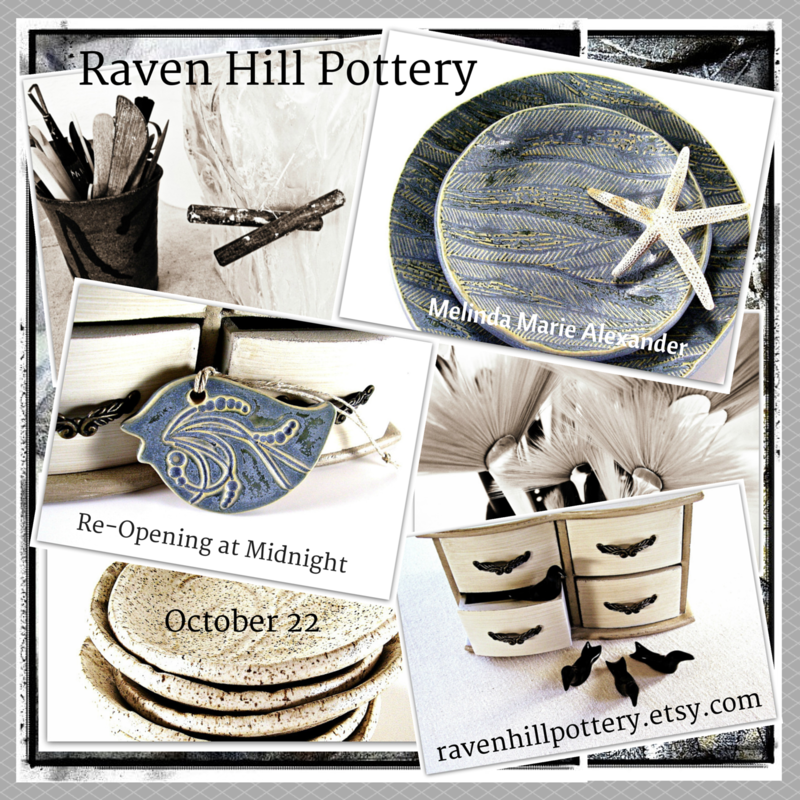 Raven Hill Pottery is re-opening! Don’t mind the mess, I’ll be busy re-listing expired items and updating my shop! Come on by and have a look around. This entry was posted in Uncategorized and tagged ceramics, clay, Etsy, Etsy Shop, facebook, handmade, handmade bowls, handmade dinnerware, handmade ornaments, handmade plates, home decor, leaves, made in america, made in USA, Melinda Marie Alexander, midnight, October 22, pinterest, potter, pottery, pottery shop, Raven Hill Pottery, ravenhillpottery.etsy.com, re-opening, rustic dinnerware, stoneware plates, textured plates, twitter, wedding favors, wordpress by ravenhillpottery. Bookmark the permalink.